Dr. Grace received a Bachelor of Arts in Economics from Vanderbilt University. He attended medical school at Wake Forest University School of Medicine where he was elected into the Alpha Omega Alpha medical honor society. 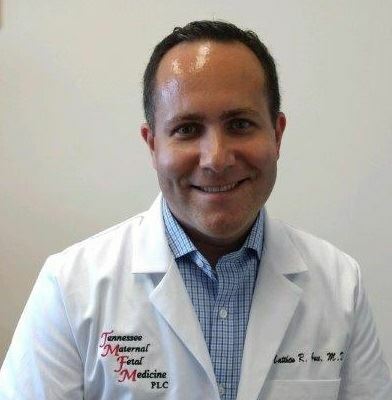 He completed his residency in Obstetrics & Gynecology at the University of North Carolina. During his time at UNC he received numerous teaching awards and the Cefalo House Officer award. He remained at UNC for a fellowship in Maternal Fetal Medicine, where his research ranged from cell-free DNA screening for chromosomal disorders to metformin’s effects on fetal gene expression. His clinical interest include prenatal diagnosis, ultrasound, fetal echocardiography, diabetes, and genetics. He is certified in fetal echocardiography by the Alliance for Physician Certification & Advancement/ARDMS.